Sunnyvale natural henna powder contains hennotannic acid, a dye that bonds with the keratin of hair, leaving behind a coppery red coloring. When it mixed with another natural herbal coloring- Indigo, with different mix ratio, it will dye your hair from light to dark brown color. Henna especially dyes white hair into brownish red color, lets black hair looks as usual and it makes hair bouncy, straight and thick without any oily built-up and dandruff. We supply Body Art Quality Henna which is a high grade super fine powder packed full of Lawsonis dye. Body Art quality henna has more dye content than normal henna sold for hair use. Therefore you get more power for your money! We also have the pre-mixed fresh natural henna paste/cone, ready to use right away, and it contains herbal hair conditioning-Cassia obovata to promote healthy, soft and shining hair. Sunnyvale natural indigo powder is a natural dye from Indigofera tinctoria leaves. Indigo is the only natural way to dye your hair black. It oxidizes when exposed to air and water so when the hair colour is mixed with hot water, the indigo is activated ready for use. Indigo contains a blue dye that when used with henna will dye your hair in a range of colours from reddish brown, light brown, brown, dark brown and black. Our Indigo is 100% natural and from reliable sources giving you a good strong colour which along with the henna is going to give you a great black colour. Cassia Obovata is the hair-conditioning herb that is often marketed as neutral henna. 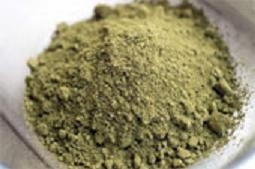 Cassia is not in fact henna, but a herb which can help condition and strengthen hair. The natural active component in Cassia Obovata is an Anthraquinone derivative named Chrysophanic acid, with remarkable anti-microbial, anti-fungal and anti-bacterial properties which may be of benefit to those with psoriasis dry, itchy, inflamed and/or scaling scalp conditions. Also Cassia Obovata can help repair damaged chemically curly hair, making it fuller, glossy and healthier.